With a decent shoe under you, you cannot go wrong. With the summer in full swing why not opt for the pretty pink look and match with canary yellow, crisp whites or even the ever-reliable denim. This summer why not let your feet do the talking? 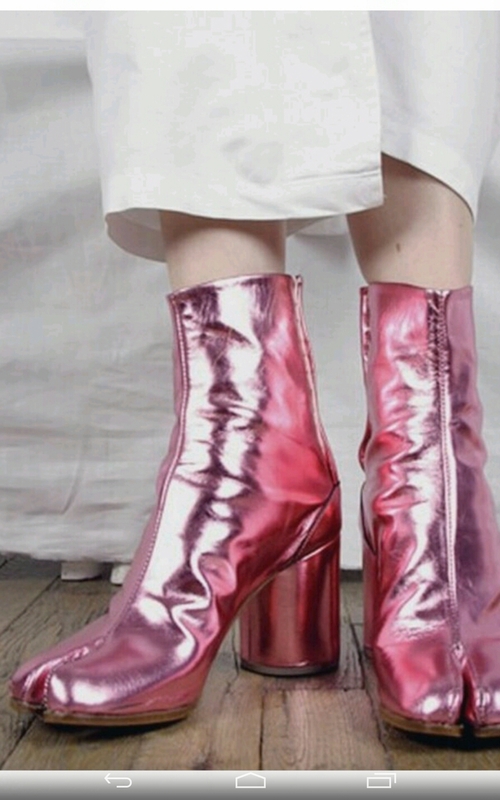 Maison Margiela (above) boasts an electric sugar pink with toe spacers yielding deviousness. The ‘Tabi’ boots are all you will need. 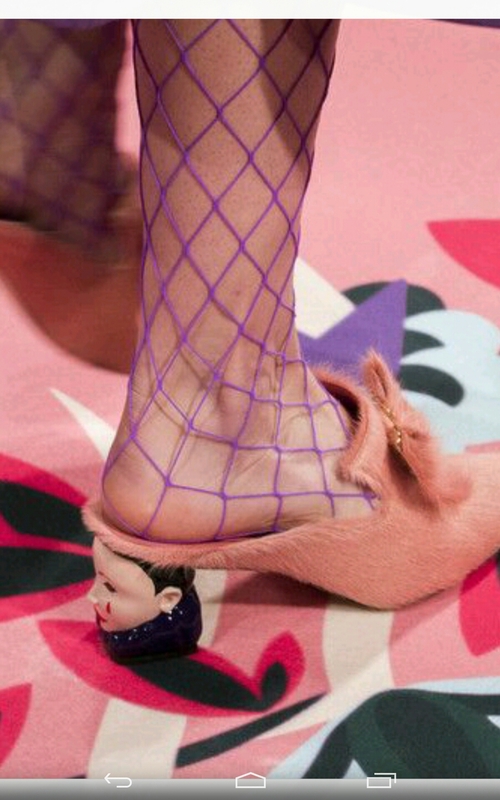 What about these cute headed heels by Vivetta at Milan Fashion Week? My sister was funnily enough creeped out when I screenshot them to her. Needless to say she will not be borrowing them when I soon purchase them. Last but certainly not least. I’m going to be truthful and tell you I haven’t a notion who designed these babies, but I love them. A hint of Christian Laboutin draped around the ankle. A Gucci frill on a masculine, oxford tipped brogue. ; certainly a winner. I’d pair it with a marine striped maxi hugging dress and call it my own.